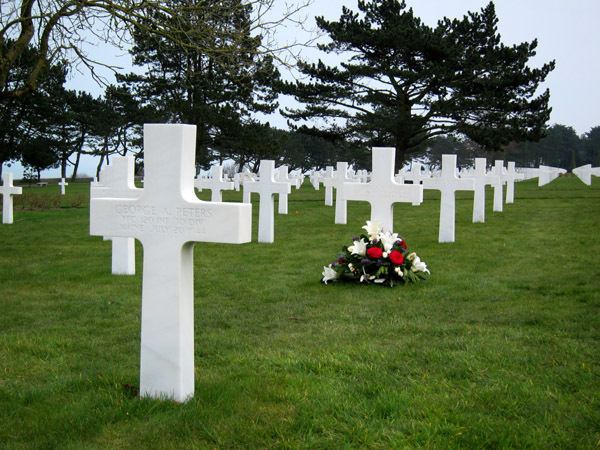 This past weekend, Americans celebrated Memorial Day and spent some time remembering all those who gave up their lives in service to our country. This last March I had the chance to visit the D-Day Beaches in Normandy, France. I learned a lot in my visit and was struck at several points by the incredible difficulties faced by the Allies in leading such a massive and risky invasion. 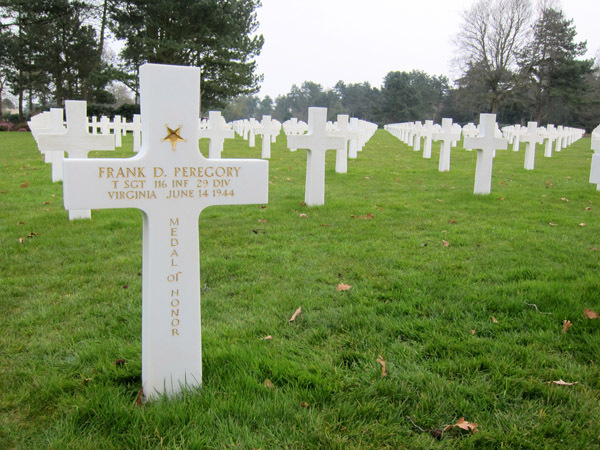 But what I returned to this Memorial Day were the individuals interred at the Normandy American Cemetery on the Landing Beaches. The cemetery was impressive in its size but also its reverence and honor of those buried therein. 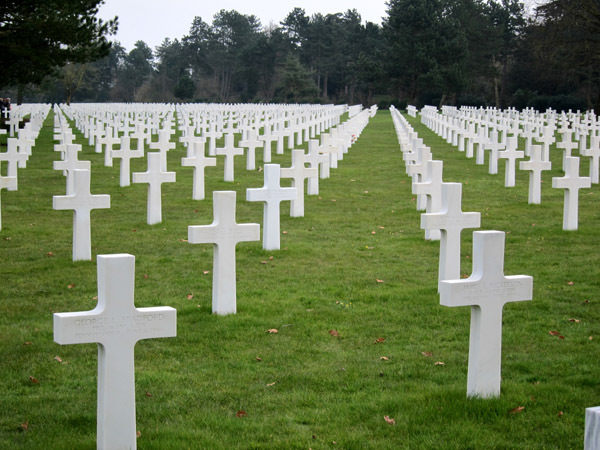 The American Cemetery overlooks a stretch of Omaha Beach. The grounds were very well maintained with shaped shrubs and purple flowers even before Spring had started. In the small on-site museum, the reoccurring theme in all the exhibits was sacrifice and duty. Over and over the stories of individual soldiers are retold describing the confusion, fear, violence and bravery of the landing. You feel a reverent heaviness as you walk amid all the neatly lined gravestones. I couldn’t help but stop and think about each of the men that I passed. 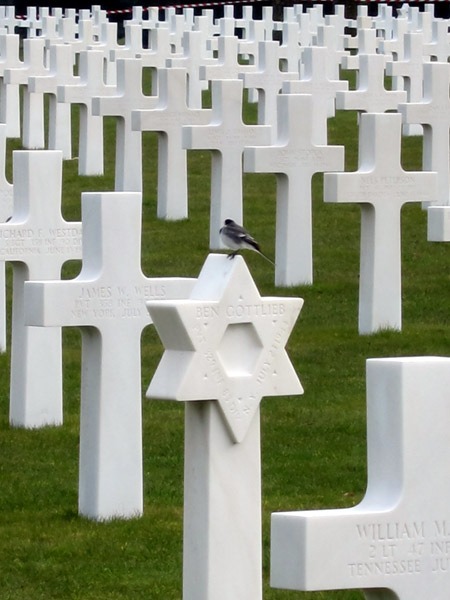 As an American cemetery in France, there was a beautiful sense of gratitude as well. 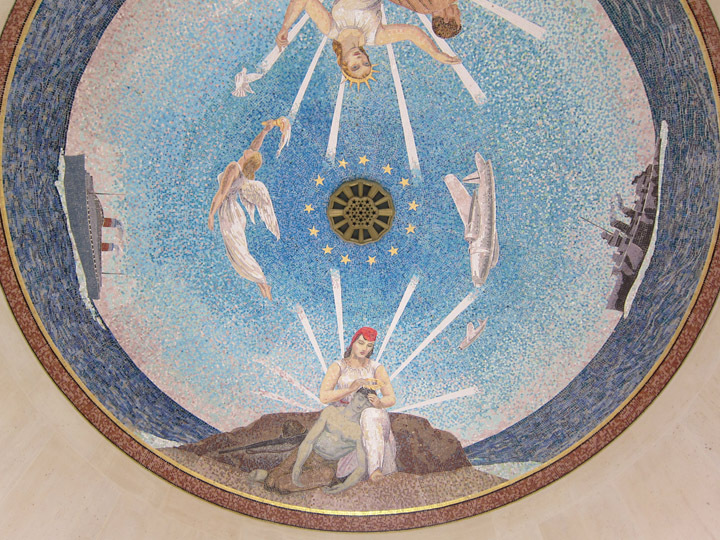 I particularly liked the mosaic ceiling of the cemetery chapel. On one side, Lady Liberty as America is shown sending a young man to war. 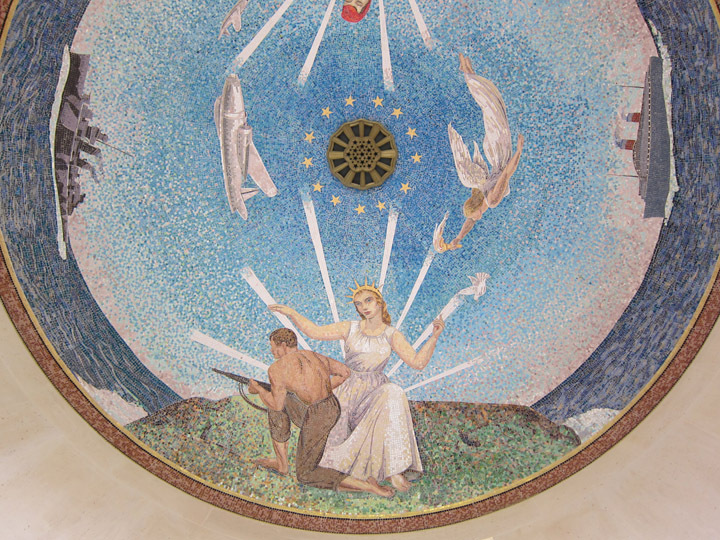 On the opposite side, Marianne as France tenderly holds and crowns the dead soldier in thanks for his sacrifice. 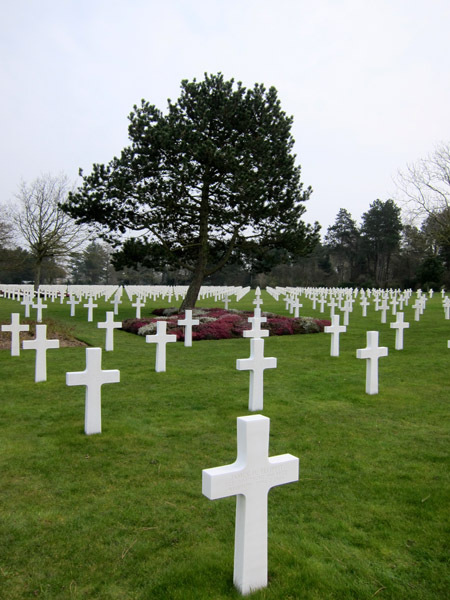 While I think the loss of all life in war is a tragedy, at least these American soldiers have a peaceful and fitting burial site befitting their sacrifice. What a lovely tribute to your lost soldiers, both the cemetery and you post. And what a shame we still have need for these cemeteries. Thank you. The greatest memorial is to remember those who died when we think about the future.